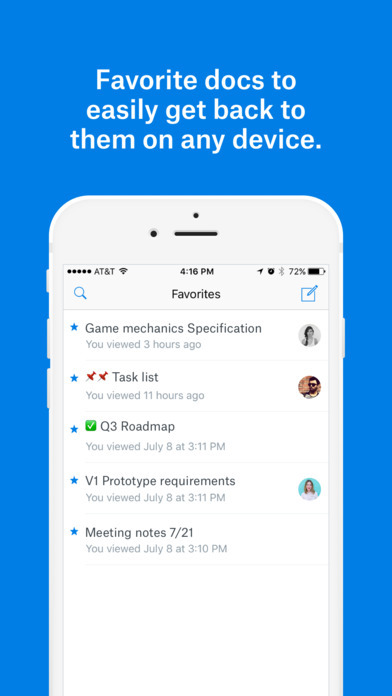 Dropbox Paper helps fast-moving teams work together on docs, find important information, and stay in sync – even while on the go. 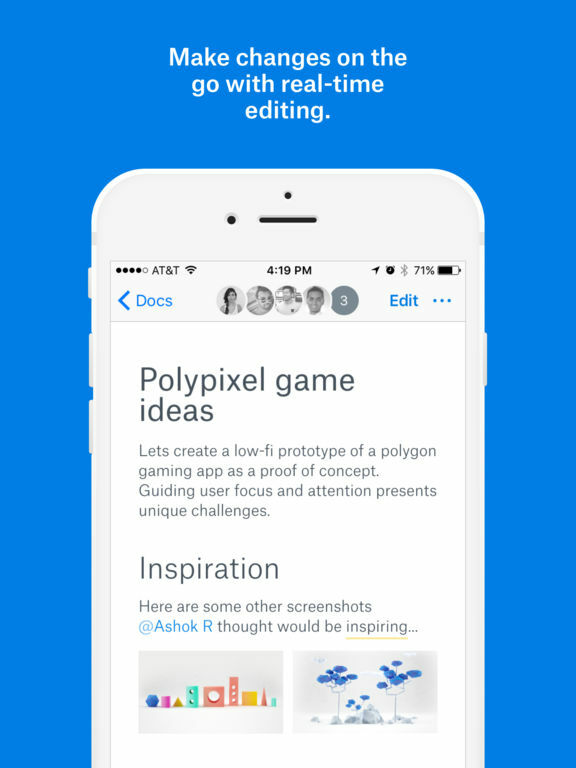 Any updates, changes, or feedback you give will all be synced with your docs on paper.dropbox.com. 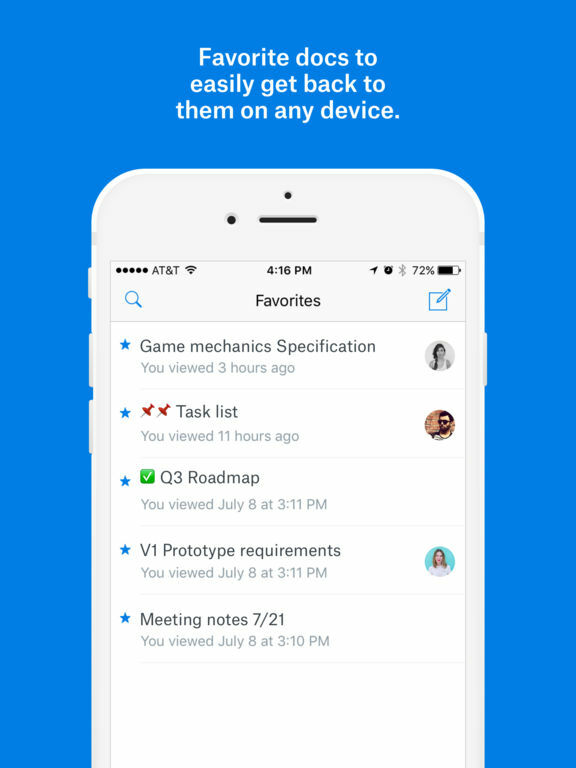 See all your notifications—comments, shares, and @mentions--in one organized list. 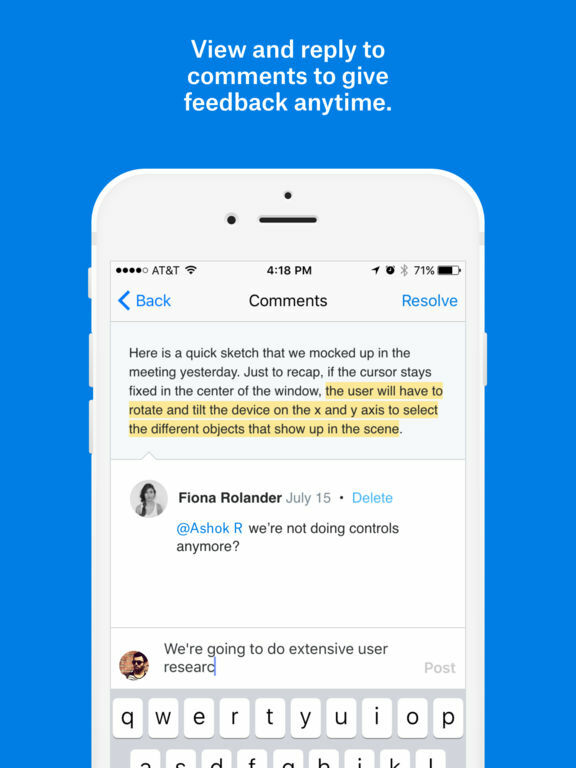 Add, view, and reply to comments so you can have a conversation on the go. Making changes to existing docs or creating a brand new doc is as easy as texting. Favorite docs to pin them to the top of your doc lists— never miss an update on docs you’ve starred. 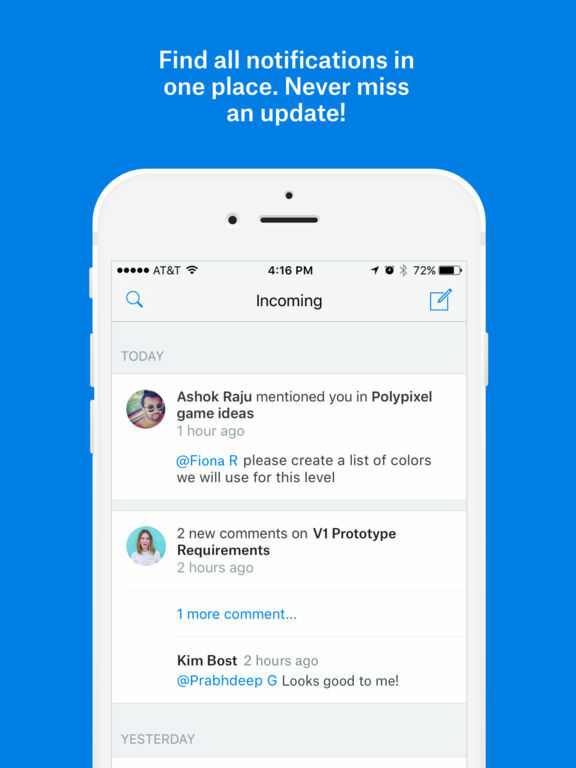 Keep everyone on the same page by adding others from your team to your docs. - We’ve sped up loading of docs when you tap on a notification, especially for long docs. - Double tap to get into edit mode! - Various crash fixes and performance improvements.